Heart health is a top health concern for many of us. Statistics calling out heart disease as the number one killer of Americans and the number of “heart healthy’ marketing campaigns have indoctrinated us to understand it’s critical to take care of our tickers. Diet and exercise are always going to be crucial to keeping a healthy heart muscle, but aside from eating a little more fiber and walking over 5,000 steps in a day, a good supplement program can help! You’ve heard of CoQ10, it’s started appearing in beauty creams and touted by celebrity doctors. Coenzyme Q10 is a natural substance found in your body, very similar to a vitamin that assists in normal cell function. Particularly it is important in keeping your internal electric system, that tells your heart when to beat, in top form. Unfortunately like so many important ingredients to health CoQ10 can be depleted by medications like statins. This has lead to some doctors promoting it as an adjacent supplement to treatment with heart medications to help restore levels and hopefully diminish negative side effects like muscle stiffness that can be caused by statin drugs. Even if you aren’t on a statin, taking CoQ10 might help lower your blood pressure, keep levels optimized, and keep your heart in tip top tick tock shape. There is some hot debate in the health world over supplementing fish oil. If you think you can get a sufficient amount from eating enough fish (non-farmed so they have a natural and appropriate diet that promotes their own Omega-3 fatty acids) that is perfect. As most of us don’t have access to the best sourced fish, and won’t eat sufficient quantities, supplementing Omega-3 fatty acids with fish oil seems a safe bet. Fish oil is a supplement that even if it isn’t performing as well as eating fish, the cost/benefit is too high to ignore. Omega-3 fatty acids can dramatically lower triglyceride levels, improve blood pressure, lower your risk of heart attack and stroke. So eat more good fish, find a high quality fish oil supplement, and you won’t look back. Bonus Benefits: Good fats and oils are great for your skin, nails, and hair! 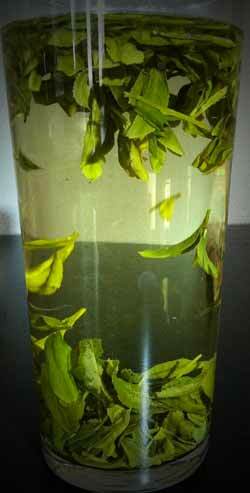 Humans have been drinking green tea for a long time, and the health benefits are touted everywhere. If you happen to prefer a cup of coffee in the morning and aren’t keen on it, that is A-OK! Some studies into green tea as well as green tea extract found in supplements may help lower LDL cholesterol, and lower risk of high blood pressure. The research isn’t conclusive but sipping a cup of tea now and again is a nice way to de-stress, which is also great for your heart! If you are a regular reader you know that despite being a glutathione website, Vitamin D is number one favorite, top recommended health supplement. While Vitamin D tends only to be referenced for it’s bone health benefits, there could be very real cardiovascular benefits to maintaining healthy levels of the sunshine vitamin. While patients of cardiovascular disease can be deficient in vitamin D it’s unclear if restoring it through supplementation will offset the negative heart health consequences. Studies into this are going on as we speak. Instead of waiting for the studies, we’d recommend just keeping your Vitamin D levels optimized for your health. Lower homocysteine levels lead to lower risk of cardiovascular disease. B Vitamins can help lower high homocysteine levels! The researchers say B6 and folate may fight cardiovascular disease by lowering levels of homocysteine which is thought to damage the inner linings of arteries thus promoting blood clots when cholesterol is used to ‘patch’ the lining. The reality is glutathione, or GSH is such a prolific healer that it seems wrong to pidgeonhole it as a heart health supplement. Glutathione can help you manage homocysteine levels and provides health benefits for your cardiovascular system, but it’s also so critical to every other system in your body that we consider it a total health supplement. Your liver, heart, lungs, brain, blood, and really every cell in your body requires glutathione. 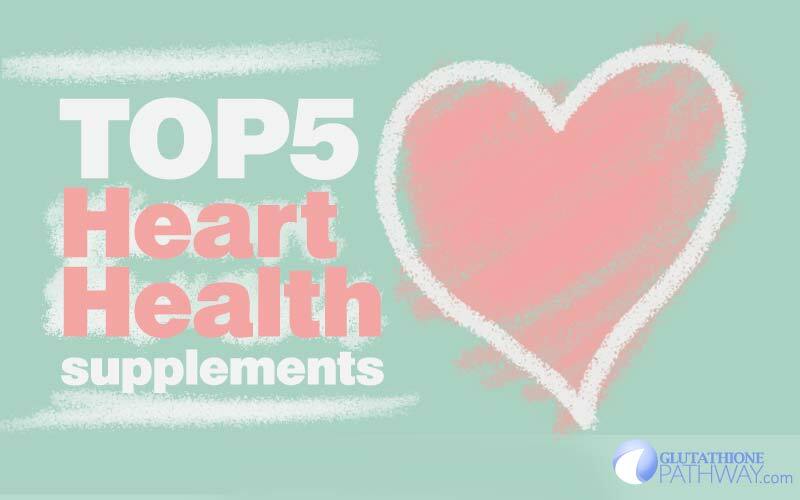 So consider GSH a total body supplement, and our top 5 heart health supplements mentioned as the best heart specific accompaniments around.